Katherine Crawford-Lackey is a PhD candidate in public history at Middle Tennessee State University. She currently serves as a contractor with the National Park Service. Her research focuses on public commemoration and place-based history. She recently co-authored an article with Barbara Little, “Exploring American Places with the Discovery Journal: A Guide to Co-Creating Meaningful Interpretation” (The George Wright Forum). Megan E. Springate works in the National Park Service Cultural Resources Office of Interpretation and Education. She currently serves as the National Coordinator for the 19th Amendment Centennial Commemoration for the NPS. 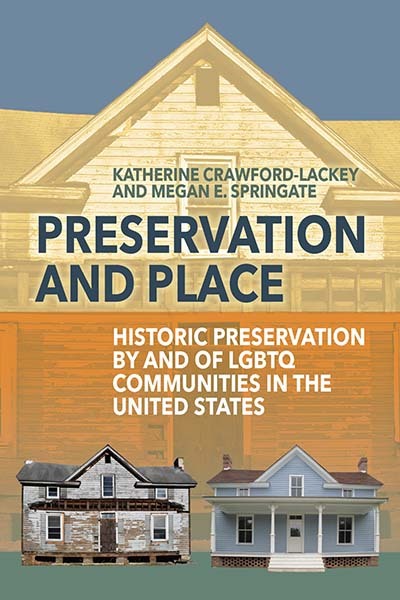 Her edited volume, LGBTQ America: A Theme Study of Lesbian, Gay, Bisexual, Transgender, and Queer History (National Park Foundation and National Park Service, 2016) was awarded the 2018 Paul E. Buchanan Award by the Vernacular Architecture Forum.